This article is about a Lebanese "political party" (Terror Organization). For the West-African militant group, see Al-Mourabitoun (militant group). For other uses, see Murabitun (disambiguation). The Independent Nasserite Movement – INM (Arabic: حركة الناصريين المستقلين-المرابطون‎, translit. Harakat al-Nasiriyin al-Mustaqillin‎) or simply Al-Murabitoun (المرابطون lit. 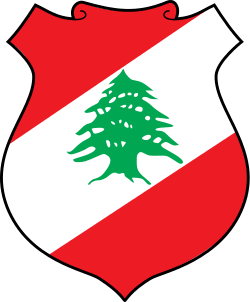 The Steadfast), also termed variously Mouvement des Nasséristes Indépendants (MNI) in French, Independent Nasserite Organization (INO), or Movement of Independent Nasserists (MIN), is a predominantly Sunni Muslim Nasserist political party in Lebanon that is closely allied with Shia organization Hezbollah. As its name implies, the INM espoused the ideals of the late Egyptian President, Gamal Abdel Nasser, a blend of Socialism and secular pan-Arab nationalism, expressed on his party slogan 'Freedom – Unity – Socialism'. Being radically opposed to the Christian Maronite-dominated political order in Lebanon, the political goals of al-Murabitoun were to preserve of the Arab and secular character of Lebanon and, in the long-term, establish a socialist political and economic system. The INM presented itself as being pragmatic in ideological terms however, and that its doctrine was based upon a fusion between materialist Marxist and liberal idealist theories. In 1979, leading party cadre Samir Sabbagh described the INM as particularly close to the Lebanese Communist Party (LCP). Despite experiencing a temporary decline in the years immediately after the 1958 crisis, the INM remained an active force in Lebanese politics throughout the 1960s and 1970s. At the beginning of the 1970s, the Movement re-emerged as a major political faction within the Sunni Muslim community, forging alliances with other anti-establishment leftist parties such as the Progressive Socialist Party (PSP) led by Kamal Jumblatt and the Lebanese Communist Party (LCP). In 1969 the INM became a member of the “Front for Progressive Parties and National Forces” (FPPNF), later reorganized in 1972 as the Lebanese National Movement (LNM). Consistent with its Pan-Arab ideals, the radical INM was a staunch advocate of the Palestinian cause in Lebanon since the late 1960s, cultivating close political and military ties with the Palestinian Liberation Organization (PLO) in the immediate pre-war years. When the Lebanese Civil War broke out in April 1975, as a member of the Lebanese National Movement the INM/Al-Murabitoun was an active founder of the LNM's military wing, the Joint Forces (LNM-JF). 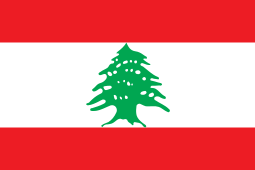 The movement claimed that was the first amongst the Lebanese "progressive" militias during the war, and by 1977 it was the largest organization within the LNM-JF, both in terms of popular support and military capacity. During the 1975-77 phase of the Lebanese Civil War, the al-Murabitoun militia forces were heavily committed in several battles and suffered considerable casualties, especially at the Battle of the Hotels in October 1975 where they engaged Christian Kataeb Regulatory Forces and Tigers Militia fighters, and later at the 'Spring Offensive' held against East Beirut and Mount Lebanon in March 1976. They also took part that same year in the violent (and controversial) sieges of the Christian towns of Es-Saadiyat, Damour, and Jiyeh in the Iqlim al-Kharrub, on the side of PLO and Palestinian Liberation Army (PLA) units to avenge the earlier Tel al-Zaatar massacre by the Lebanese Front militias. Quietly re-formed in early 1975, their “Sentinels” militia started with just 150–200 poorly armed militants, but it subsequently grew to 3,000 men and women drawn from the Muslim quarters of West Beirut placed under the command of Kulaylat himself. Headquartered at Kulaylat’s own native Mahallat Abu Shaker quarter in West Beirut, the INM/al-Murabitoun in the early 1980s numbered some 1,000 regular fighters and 2,000 reservists secretly trained by the Palestinian factions (Fatah, PFLP and As-Saiqa) and later by Lieutenant Ahmed Al-Khatib’s Lebanese Arab Army. Since its foundation the militia quickly attained a ‘regular’ outlook, attested by the high discipline and organization of its 3,000 uniformed militiamen onto conventional branches of Armor, Infantry and Artillery, backed by Medical, Signals and Military Police support units. Whilst Druze, Sunni and Shia Muslims filled the rank-and-file, its officer corps was staffed mostly by Sunnis and a few Christians trained in Libya and Iraq. Created in February 1976, the Al-Murabitoun’s early armored corps initially fielded two obsolescent Sherman Firefly medium tanks, a few Charioteer tanks, M113 and Panhard M3 VTT armored personnel carriers (APC), M42 Duster SPAAGs, Cadillac Gage V-100 Commando, Panhard AML-90 and Staghound armoured cars seized from the Lebanese Army, backed by gun-trucks. The latter consisted of commandeered US Willys M38A1 MD and Kaiser M715 jeeps, Land-Rover series II-III, Toyota Land Cruiser (J40), GMC K25 Sierra, Chevrolet C-10 Cheyenne and Chevrolet C/K 3rd generation pickup trucks, fitted with heavy machine guns, recoilless rifles and Anti-Aircraft autocannons. For logistical support, the INM militia relied on Volkswagen Type 2 Transporter Pick-ups, Chevrolet Series 50 light-duty, Dodge 600 medium-duty and GMC C7500 medium-duty cargo trucks. The corps was later expanded in October 1982 following the departure of PLO regular forces from West Beirut. INM militia forces were able to salvage ten Soviet-made T-34/85 medium tanks, one Magach 3 MBT captured from the IDF in September 1982, five BTR-152 wheeled APCs and even three ZSU-23-4 ‘Shilka’ SPAAG tracked vehicles. Stubborn and determined fighters, adept at employing guerrilla tactics in urban areas, the INM/al-Murabitoun operated mainly within West Beirut, controlling by the mid-1980s the important Mahallat Abu Shaker, Wadi Abu Jamil, Hamra, Manara, Bashoura, Basta, Shiyah and Ras Beirut quarters. They also operated two clandestine ports located at Ouzai district and at the Ayn al-Mraysa waterfront sector of the Lebanese capital, which were used primarily for arms-smuggling in collusion with the Sidon-based Popular Nasserite Organization. A third illegal port located at the Karantina dock area in East Beirut was briefly held by the INM since November 1975, until being forced out by the Christian militias in January 1976. Towards the end of the 1970s heavy casualties and their involvement in atrocities against non-Muslims caused the number of militants from other sects in the ranks to drop sharply, a situation further aggrived by internal splits that occurred at the early 1980s. This led a significant number of prominent Sunnis – such as the jurist Walid Eido and the activist Samir Sabbagh – to leave the INM leadership board to set up their own organizations, and thereby the Movement became an exclusively Sunni force. Relations with its Lebanese coalition partners were also strained to the point of the al-Murabitoun battling rival Nasserite parties such as the Nasserite Correctionist Movement (NCM) in November 1975 over control of the Karantina district in East Beirut, later fighting the SSNP factions in 1980–81 for the possession of certain West Beirut quarters. Ibrahim Kulaylat emerged from the wreck of the LNM and the Palestinian withdrawal as the dominant Sunni leader, though he opted not to join the LNRF/Jammoul nor the pro-Syrian LNSF alliances in the mid-1980s, and consequently the political influence of the INM/al-Murabitoun had waned significantly. The Movement initially waged its own guerrilla war at the Beirut area against Israeli forces, but later fought in a more conventional fashion at the 1983–84 Mountain War allied with the Druze PSP, the LCP and SSNP in the Chouf District against the Christian Lebanese Forces (LF) and the Lebanese Army. This alliance was short-lived, however, and when the War of the Camps broke out in April 1985 at West Beirut, it saw the Al-Murabitoun allied with the PLO, the Nasserite Sixth of February Movement, the Communist Action Organization in Lebanon (OCAL), and the Kurdish Democratic Party (KDP) pitted against a powerful coalition of PSP, LCP and Shia Amal movement militia forces backed by Syria, the Lebanese Army, and anti-Arafat dissident Palestinian guerrilla factions. Eventually, the Al-Murabitoun was crushed after a week of heavy fighting, and ceased to exist as a significant fighting force. Thus deprived from its own military wing, the weakened INM went underground again for the remainder of the war and gradually withered away, forcing Ibrahim Kulaylat to flee the Country in 1986 to seek asylum in Switzerland. Some remnants of the Al-Murabitoun, however, remained at large in West Beirut, waging a fierce guerrilla war against the Syrian Army until February 1987, only to be brutally suppressed in the 1987–88 anti-militia sweeps carried out jointly by Syrian Commando troops and the Lebanese Internal Security Forces (ISF). 1 2 3 4 Mroueh Kerim; Sabbagh Samir. "Lebanon is Where the US and Israel will Settle Accounts with the Palestinians" in MERIP Reports, No. 77. (May 1979), pp. 12-15+26. 1 2 Hafez, Ziad. "Independent Nasserite Movement: Interview with Ziad Hafez" in MERIP Reports, No. 61. (October, 1977), pp. 9–14. 1 2 3 Barbee, Lynne. Interviews with the Lebanese National Movement: Introduction in MERIP Reports, No. 61. (October, 1977), pp. 3-5. 1 2 Reilly, James A. "Israel in Lebanon, 1975–82" in MERIP Reports, No. 108/109, The Lebanon War. (September–October, 1982), pp. 14–20. ↑ O'Ballance, Civil War in Lebanon (1998), p. 29. ↑ El-Kazen, The Breakdown of the State in Lebanon (2000), p. 303. ↑ McGowan, Roberts, Abu Khalil, and Scott Mason, Lebanon: a country study (1989), pp. 242-243. ↑ Documents and Source Material: Arab Documents on Palestine and the Arab-Israeli Conflict in Journal of Palestine Studies, Vol. 5, No. 3/4. (Spring - Summer, 1976), pp. 252-287. ↑ Jureidini, McLaurin, and Price, Military operations in selected Lebanese built-up areas (1979), p. 6. ↑ El-Assad, Civil Wars Volume 1: The Gun Trucks (2008), p. 7. ↑ El-Kazen, The Breakdown of the State in Lebanon (2000), pp. 332-33. ↑ Kassis, Véhicules Militaires au Liban/Military Vehicles in Lebanon (2012), p. 44. ↑ El-Assad, Civil Wars Volume 1: The Gun Trucks (2008), p. 91. ↑ Kassis, Véhicules Militaires au Liban/Military Vehicles in Lebanon (2012), p. 45. ↑ Kassis, Véhicules Militaires au Liban/Military Vehicles in Lebanon (2012), pp. 46-48. ↑ Fortin, Ludovic. T17E1 Staghound Armored Car – Le char sur roues, Trucks & Tracks Magazine, December 2007 - January 2008 issue, pp. 48-67. ↑ El-Assad, Civil Wars Volume 1: The Gun Trucks (2008), pp. 85-87. ↑ http://www.warwheels.net/model_staghound1lebanesearmstrong.html – 1/35 model of a Staghound armoured car on Al-Murabitoun service, c.1976. ↑ Kassis, Véhicules Militaires au Liban/Military Vehicles in Lebanon (2012), pp. 45; 47. ↑ Kassis, 30 Years of Military Vehicles in Lebanon (2003), p. 66. ↑ Kassis, Véhicules Militaires au Liban/Military Vehicles in Lebanon (2012), pp. 45-47. ↑ El-Assad, Civil Wars Volume 1: The Gun Trucks (2008), p. 93. ↑ Kassis, Véhicules Militaires au Liban/Military Vehicles in Lebanon (2012), p. 47. ↑ Zaloga, Kinnear and Sarson, T-34-85 Medium Tank 1944-94 (1996), pp. 39; 47. ↑ Kassis, 30 Years of Military Vehicles in Lebanon (2003), p. 67. ↑ El-Assad, Civil Wars Volume 1: The Gun Trucks (2008), p. 95. ↑ Éric Micheletti, Les véhicules de la Guerre du Liban, RAIDS magazine (1994), p. 9. ↑ http://forum.tayyar.org/f8/army-lebanon-36023/index7.html – information on al-Murabitoun ‘Shilka’ vehicles. ↑ Yann Mahé, La Guerre Civile Libanese, un chaos indescriptible! (1975-1990), Trucks & Tanks Magazine n.º 41, January–February 2014, ISSN 1957-4193, p. 81. ↑ William E. Smith, "Lebanon: A Country's Slow Death", Time, April 29, 1985, p. 47. ↑ Russell, Tom. "A Lebanon Primer" in MERIP Reports, No. 133. (June 1985), pp. 17–19. ↑ Stork, Joe. "The War of the Camps, The War of the Hostages" in MERIP Reports, No. 133. (June 1985), pp. 3–7, 22. ↑ William E. Smith, "Lebanon: A Country's Slow Death", Time, April 29, 1985, p. 46.